We all know that there are certain foods that our brain loves more than others. But by far the ultimate brain food is the decadently wonderful berry. It does not matter which one you choose from this family of nutrients as all berries have a powerful effect on the mind. They are loaded with polyphenols and antioxidants. Blueberries, strawberries, raspberries, blackberries, and so forth. The list is actually quite long and if you have an opportunity to venture to different parts of the world you can enjoy unique and exotic berries like ligon-berries and cloud-berries known quite exclusively to regions of Scandinavia. Many people have the misconception that Alzheimer’s is a part of natural aging. This in actuality could not be farther from the truth. We can age and still maintain our health to a certain degree. It all has to do with how we choose to live our lives. Eating right a huge part of that. Amyloid plaque deposits and protein tau tangles are seen in patients with Alzheimer’s disease. The prevalence of this disease is incredibly high and growing each year. According to the Alzheimer’s Association, “one in eight older Americancs has Alzeimer’s Disease…[it is] the sixth leading cause of death…[with] an estimated 5.4 million Americans of all ages [having the disease]…” (2012, Alzheimer’s Disease Facts and Figures). 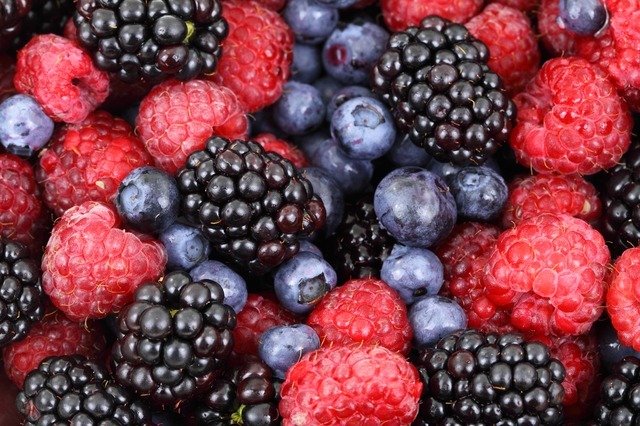 Berries are not only for the aging population, they provide benefit to people of all ages. They reduce inflammation in the body which has been linked to numerous disease including cancer. As well, their direct benefit to the brain is more preventative. The great thing about berries is how easy they are to consume. You can eat them just as is, add a little whipped cream or milk, or throw them in the blender to make a great smoothie. Because they taste so good it makes them easy to enjoy. Preventing memory loss and cellular damage, as well as protecting our brains should be a priority for everyone. This is done through eating foods that decrease inflammation and oxidative stress on our bodies. Berries are the ultimate brain food source to take on this challenge. So if it is a blueberry, strawberry, or raspberry that tickles your fancy make sure to add this wonderful food to your daily menu. © 2019 Improve Your Memory, Concentration and Focus | Mindrig. All rights reserved. We hate spam and will never spam you!